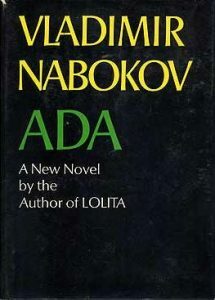 Nabokov’s Ada or Ardor regularly finds its way on lists of “difficult books” The novel resists a straightforward reading, and any attempt to fully draw out all of the complex references is nearly impossible. These are also reasons why the book remains a favorite for critics, scholars, and those who love taking on a real literary challenge. Often ranked with Joyce’s Ulysses, Proust’s Remembrance of Things Past, and the work of Kafka as one of the works which came to define the novel in the latter half of the twentieth century. The novel was received with mixed reviews from critics. Some loved it and others hated it. Some critics cited the disdainful tone of the narrator, Van, which disposed them to see the novel as a self-indulgent exercise on the part of Nabokov. Scholars of Russian literature recognized in the novel a parodic tone which was characteristic of Nabokov. This led them to examine the work more openly. Some of these critics came to see the book as a novel about literature. The may literary references and allusions made this reading plausible, and Antiterra bears a resemblance to many features of 19th and 20th century Russian literature. Some of the allusions and references to Russian literature include the novel’s subtitle which points to Sergey Aksakov’s The Family Chronicle from 1856. Demon Veen would seem to be a clear reference to Demon by Mikhail Lermontov and The Little Demon by Fyodor Sologub. The literary references are too many to fully cover. Some of the key features include reference to the Don Juan figure who runs through much of western literature. This is the literary lover who seems to stand outside of morality and social conventions.